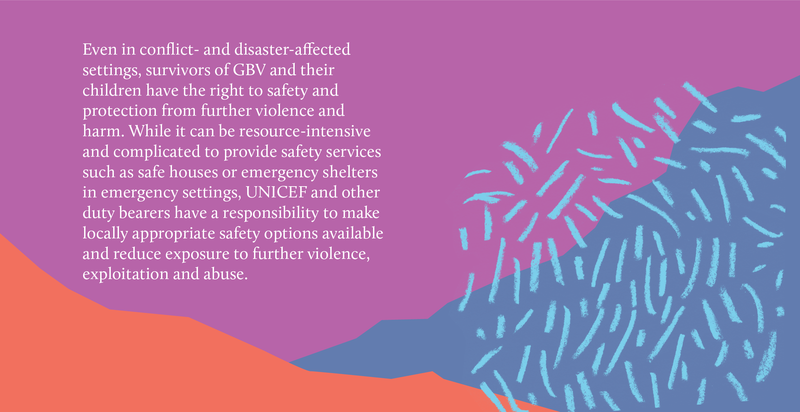 Gender-based violence (GBV) is a critical human rights issue globally. 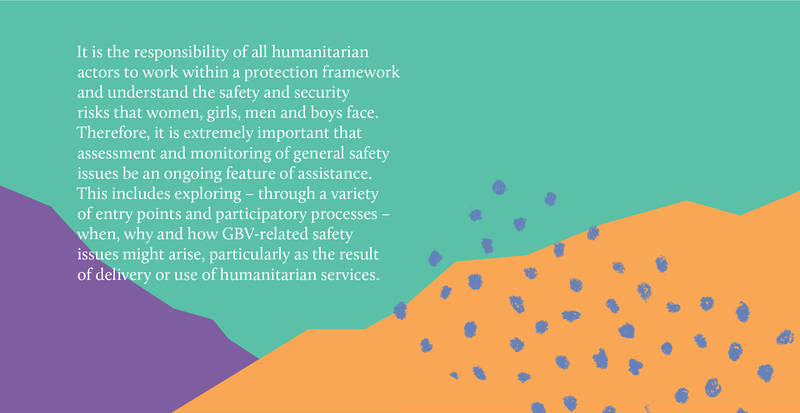 Women and children who are vulnerable to violence face even more risk in circumstances of humanitarian emergencies such as natural disasters, wars, or refugee crises. 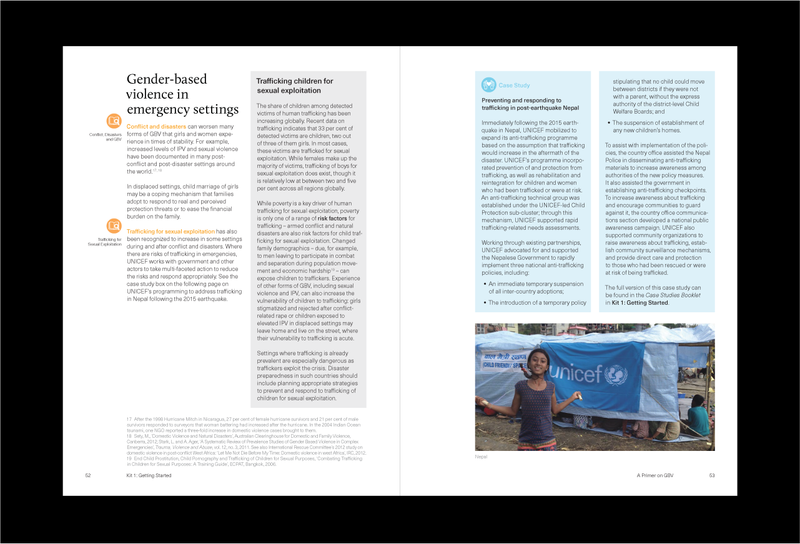 Preventing and responding to gender-based violence in emergencies is recognized as an essential life-saving component of humanitarian action. 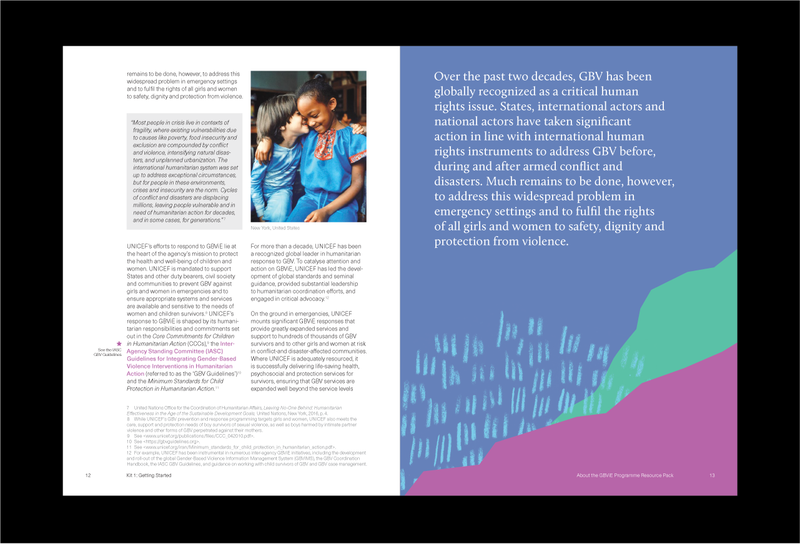 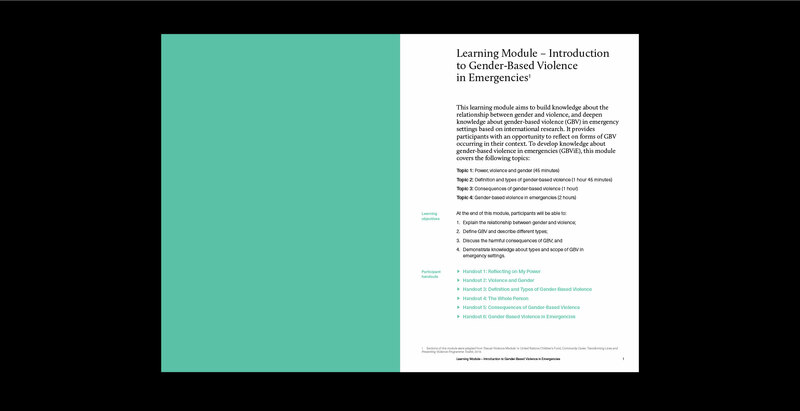 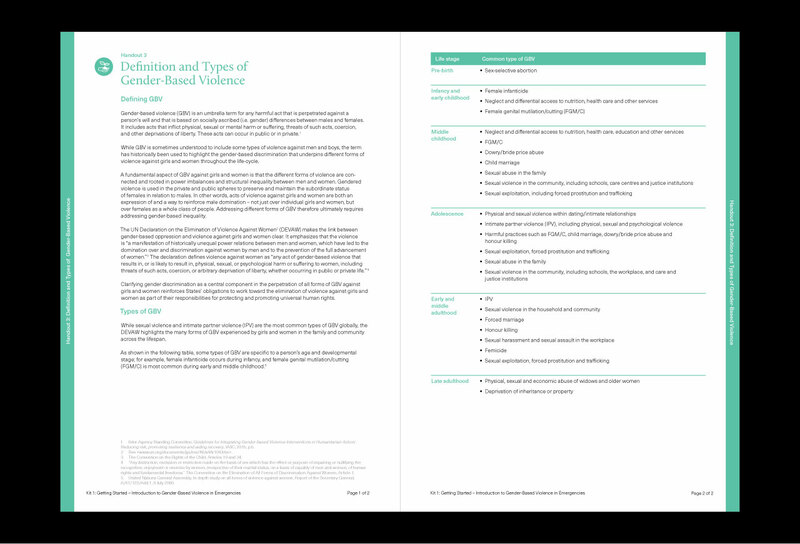 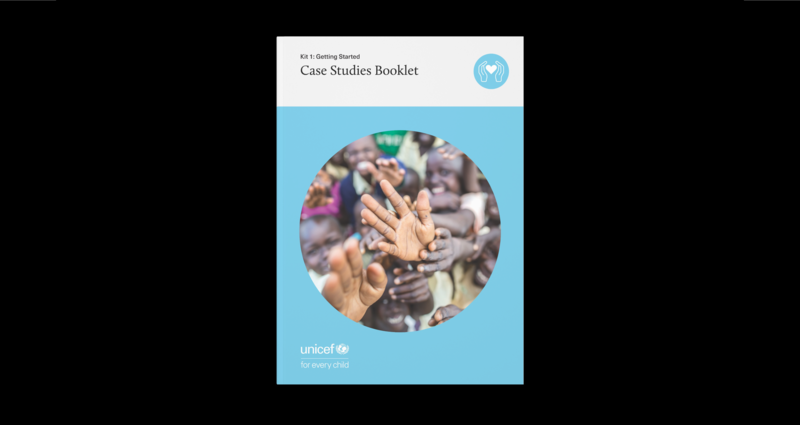 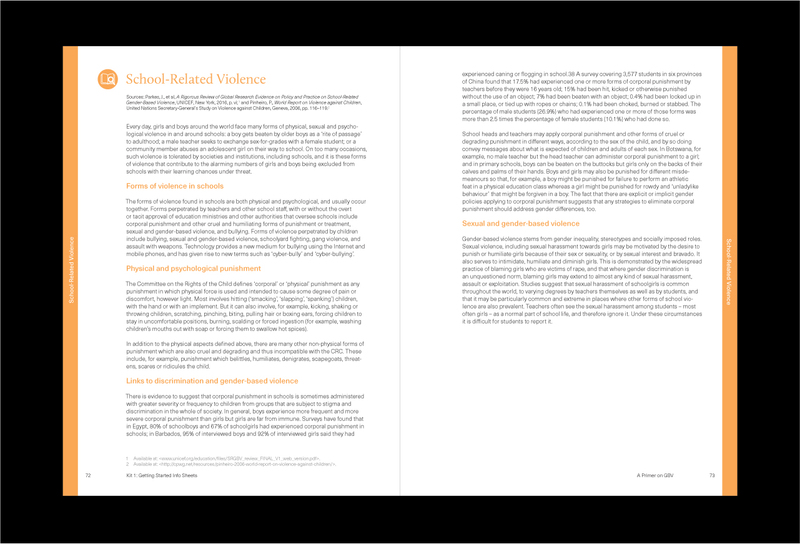 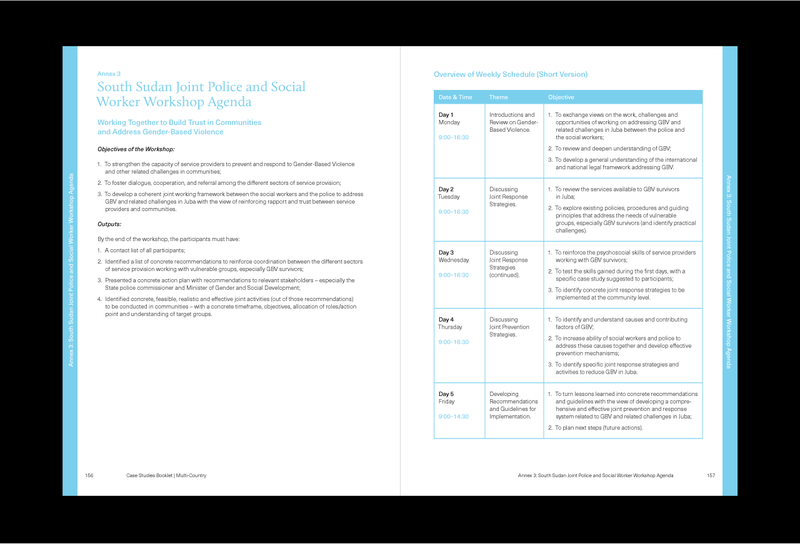 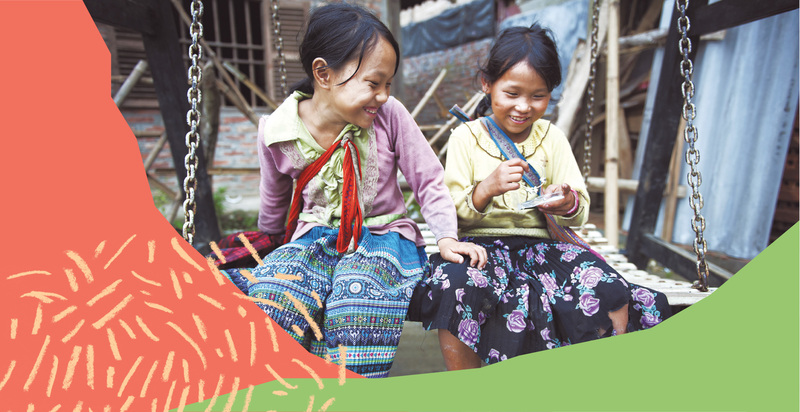 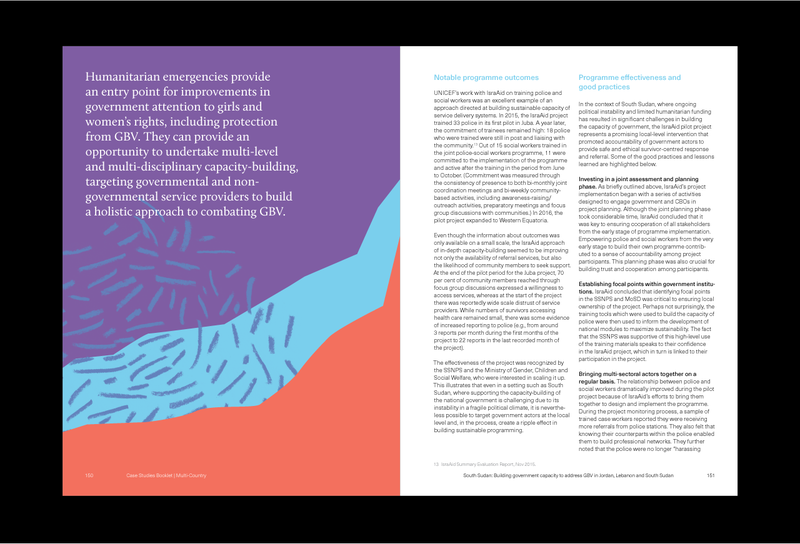 To support GBV prevention and response efforts, UNICEF developed extensive content for a resource pack to be used in the field. 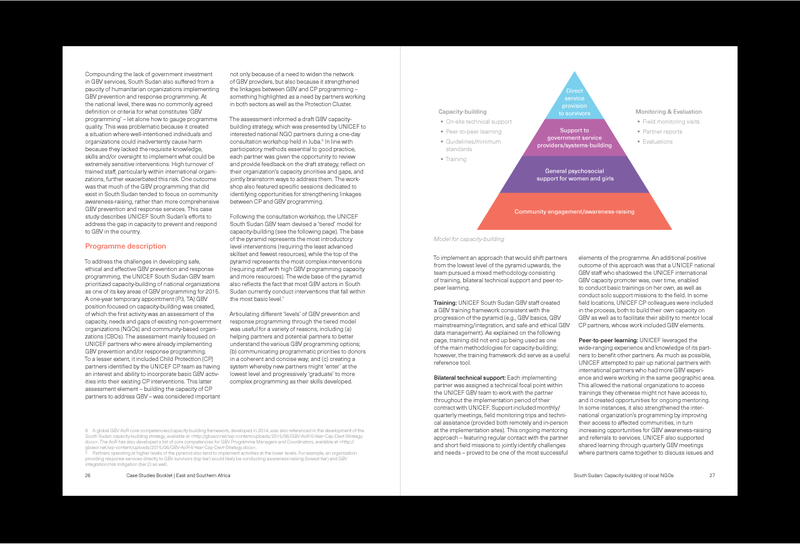 We embraced the challenge of adapting 2,600 pages of technical content into print materials to function as a useful and visually-engaging toolkit. 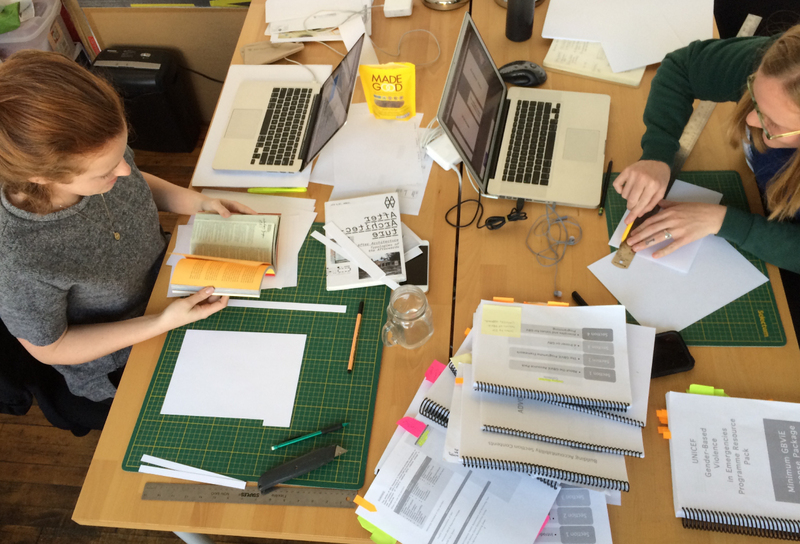 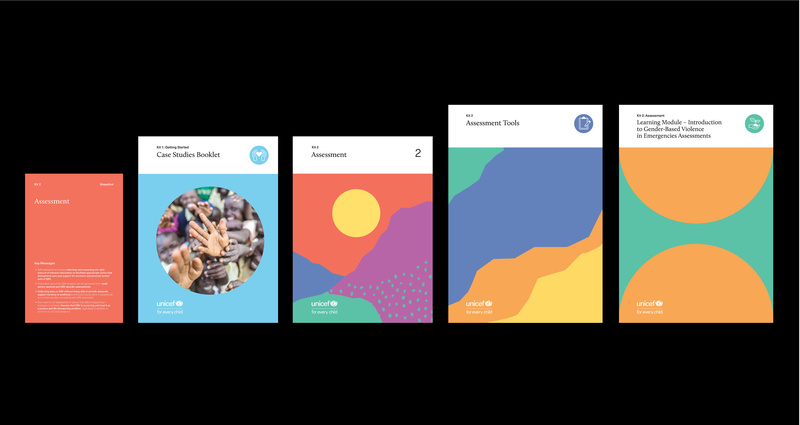 We explored the usage contexts, content architecture, physical format, and look and feel, resulting in a set of nine human-centered kits. 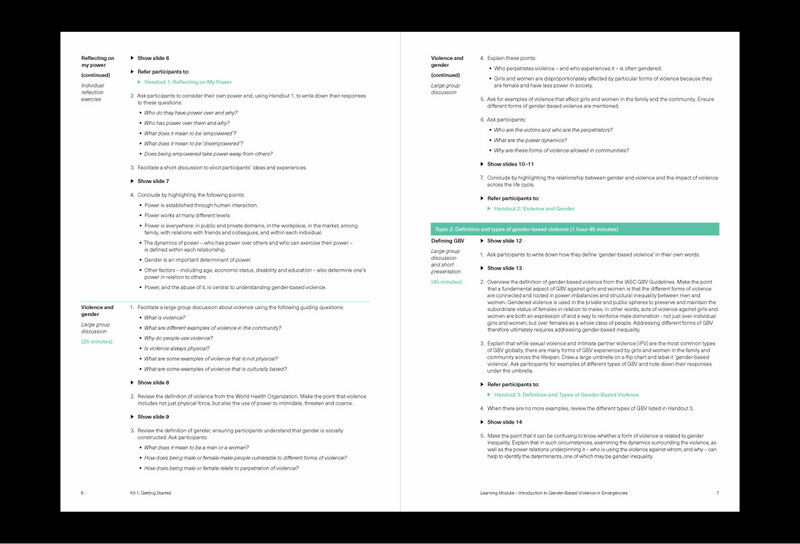 We grouped the content into various typologies to make the immense volume of content more accessible. 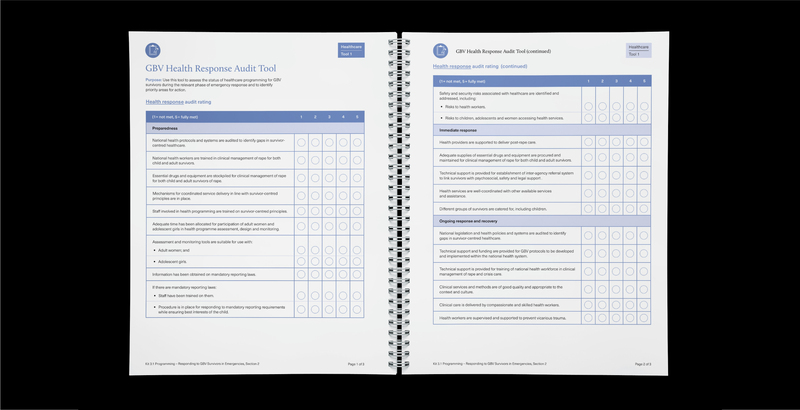 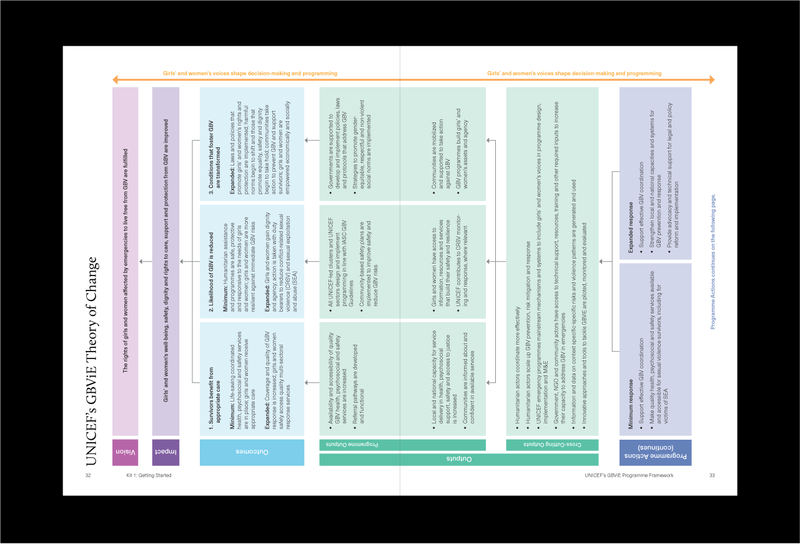 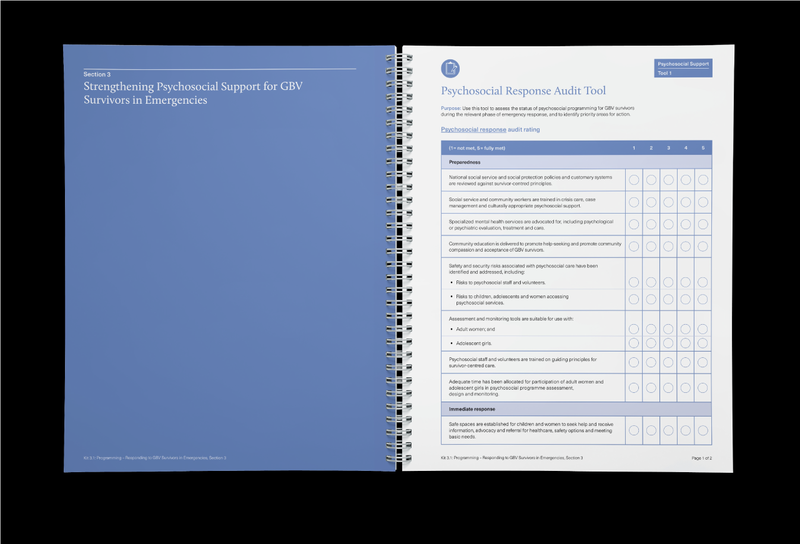 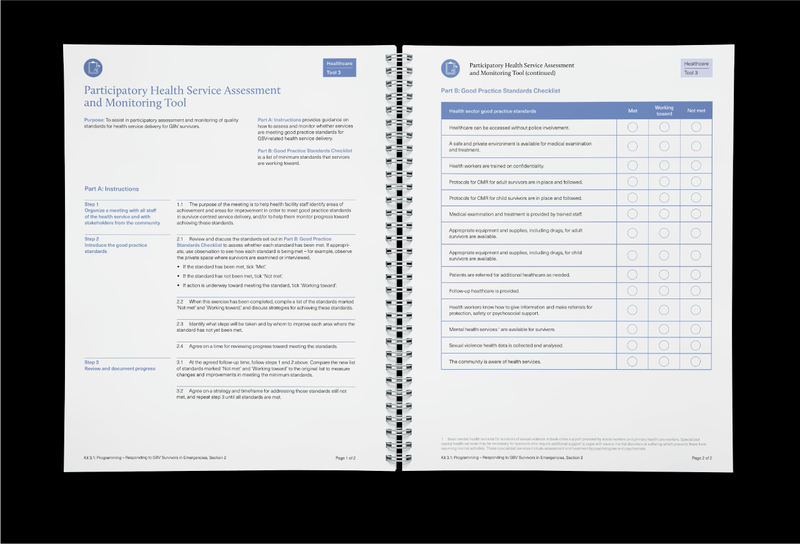 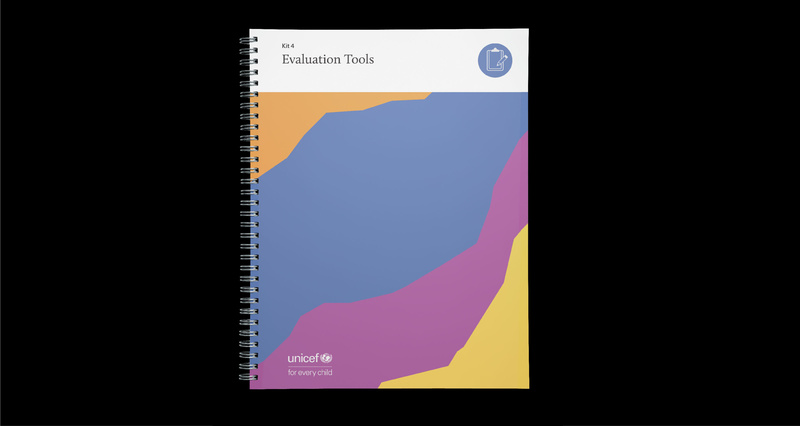 Each kit contains a series of pieces for the user to engage with on a particular topic: a guidance book which holds the bulk of content, case studies, tools, learning modules, and an overview booklet. 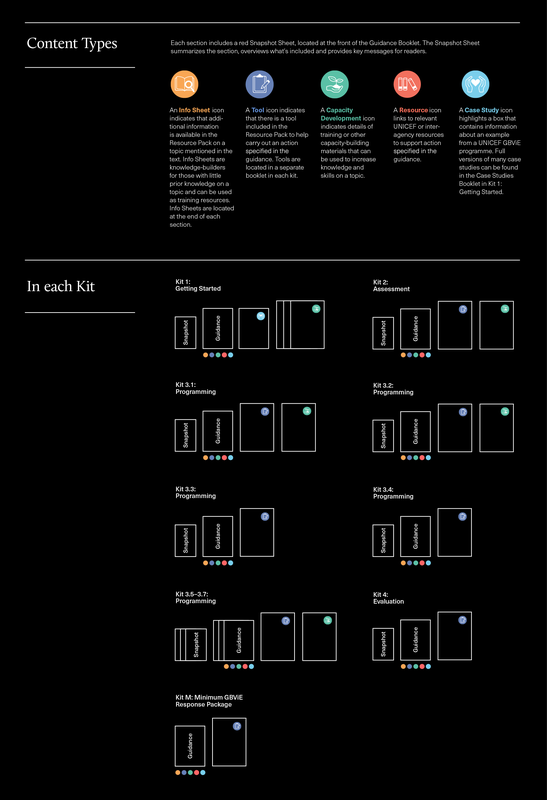 Through methodical use of icons, colour coding, and numbering, we designed a resource pack that has a robust system for accessing information. 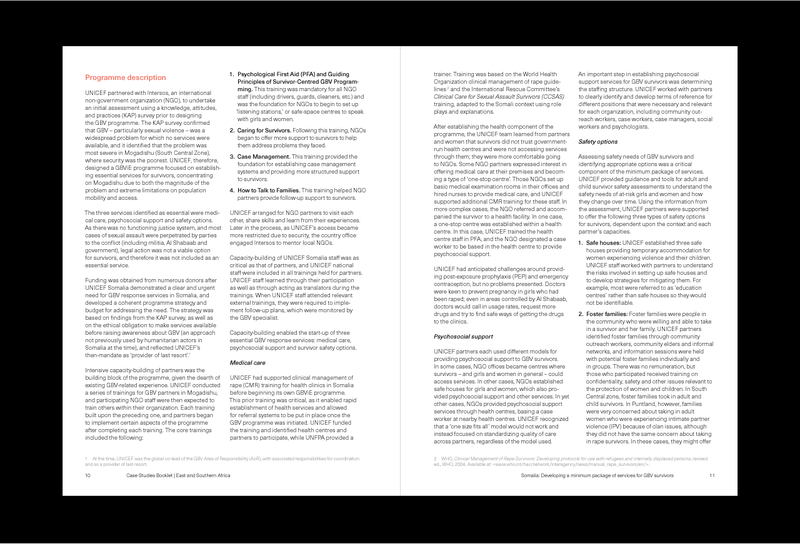 Sections of text are organized according to content typology, supported by clear navigation that considers varying levels of expertise among users. 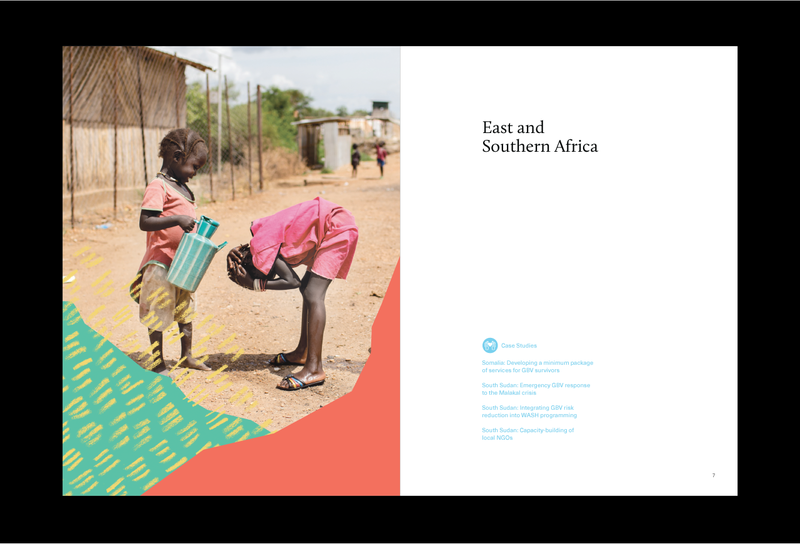 Images portray women and children with dignity and resilience, in harmony with illustrative forms that are artful and optimistic. 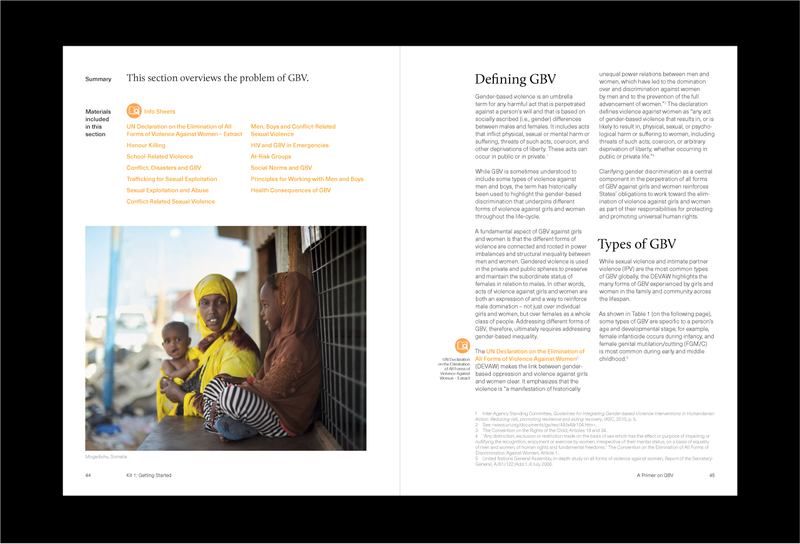 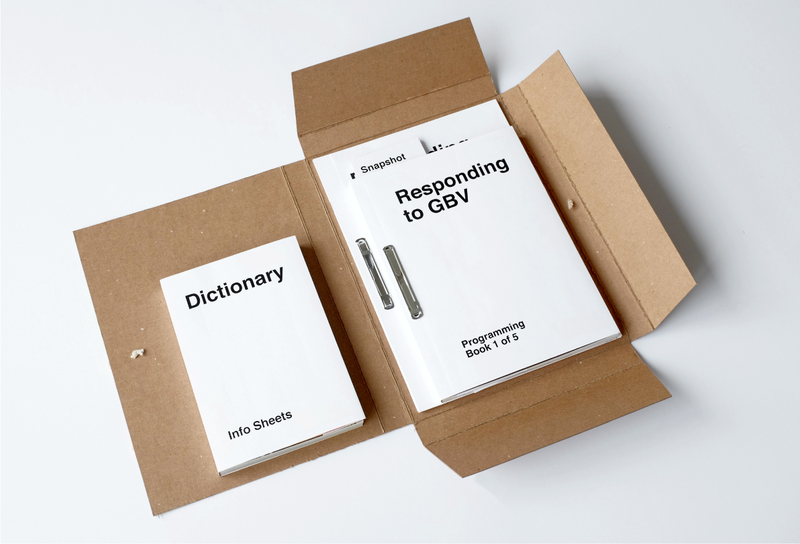 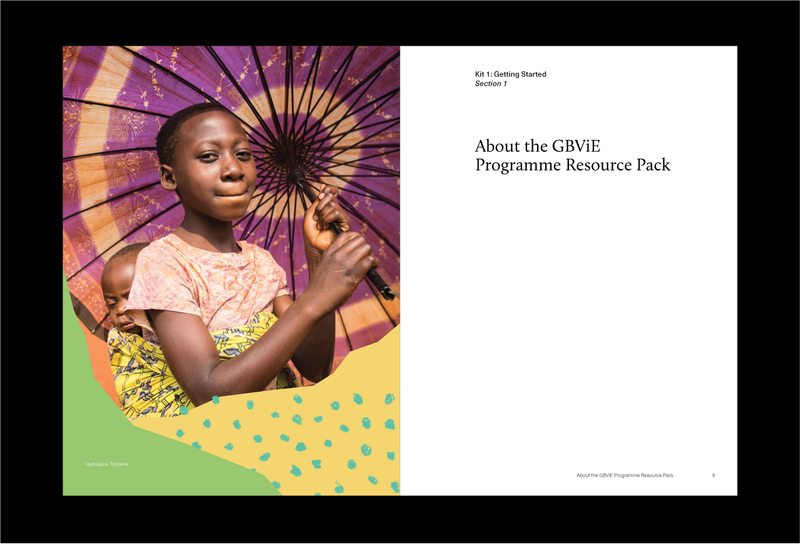 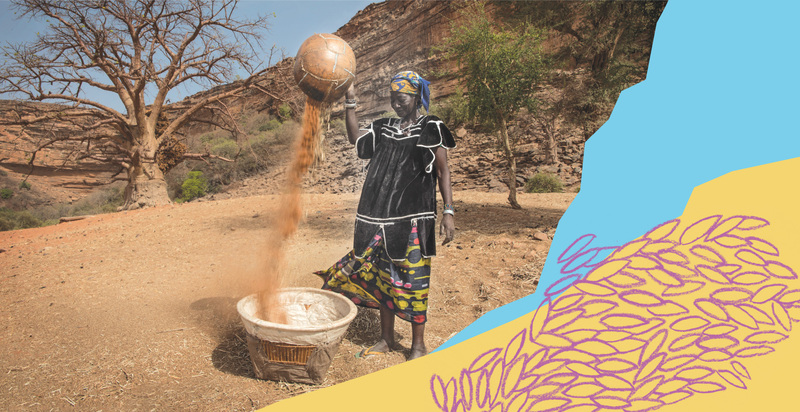 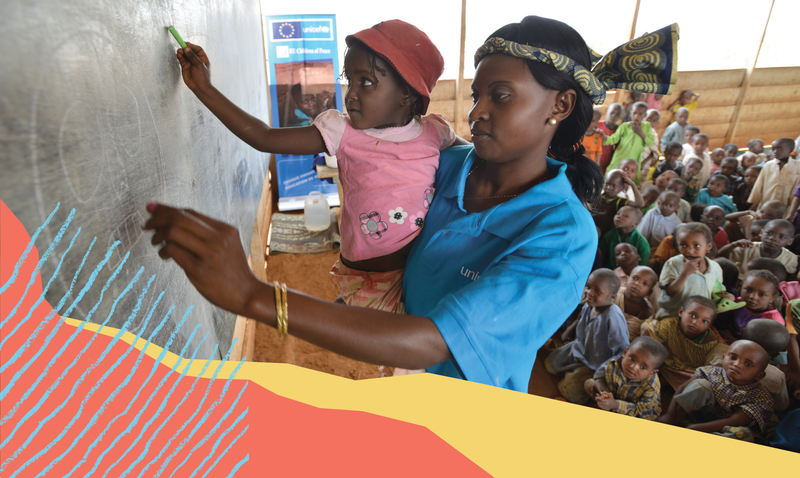 Delivered to UNICEF country offices and partners around the world, the GBViE Resource Pack is a precedent-setting kit of practical tools, with people at the centre.